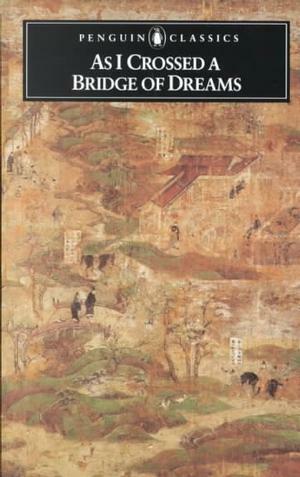 Years ago, I read Sei Shonagon’s The Pillow Book, and found it to be thoroughly delightful. It’s not quite a diary, more like a series of anecdotes, lessons, and complaints by a courtly woman in Heian Japan and was written in about the 11th century AD. What came out most strongly from the book was just the personality of the writer: short-tempered, irritable, but also charming and perceptive. I was brought up in a part of the country so remote that it lies beyond the end of the Great East Road. What an uncouth creature I must have been in those days! Yet even shut away in the provinces I somehow came to hear that the world contained things known as Tales, and from that moment my greatest desire was to read them for myself. This document is also not quite a diary, since it was not written as a daily chronicle. Instead, it was written towards the end of the author’s life, as a sort of memoir. I say “a sort of memoir” because it’s actually quite strange. The book spends pages upon pages talking about a man who she met on a rainy day and discussed trivialities with…but mentions her husband and three children for a total of maybe three sentences. In fact, that’s most of the book: a succession of pilgrimages, hotels, windy nights, and fragments of poems. It seems random, but it’s obviously not. The book isn’t a traditional memoir. It’s not about doings. Instead, it’s more like a novel. It’s about a person’s emotional development. This is a woman who was obviously very sensitive. A woman who, from the very earliest part of her life, had a strong sense of what was right and beautiful. For instance, she rights of her recurring fantasy, during her teen years, that a man would come along and shut her up in a distant tower and then visit her for only one day a year, and leave her, the rest of the time, to walk alone along the windy battlements. Which is a beautiful image (partially derived from the Tale of Genji) but also a bit perverse. And the book is about how that person–the girl who dreamed that dream–survived and changed throughout a lifetime that didn’t really include very much that was beautiful or Romantic. I find that most ancient documents (at least those that are in prose) don’t have the virtues of modern literature. They don’t describe sights and sounds and smells and emotions. They’re about great doings or adventures or amusing incidents. Only in ancient Japanese literature, really, is there that fine-grainedness to the perceptions that strikes me as very modern. I highly recommend this book. It’s also really short, maybe 80 pages long. A great period, you’re right. I still tend to favour Murasaki Shikibu, but the Makura no Soshi of Sei Shonagon is closer to our modern sensibility, I guess. I read the Tale of Genji, which I absolutely enjoyed. But it’s a very different sort of thing. I’ve never read anything like it. The Sarashina Diary, on the other hand, is something I feel much more at home with.